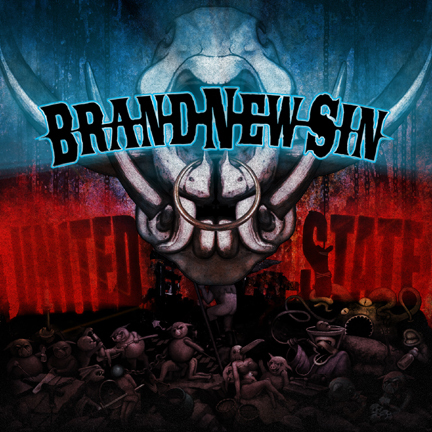 Brand New Sin has risen to new levels with the disenfranchised roar of United State out now on Goomba Music. The enduring trio of Kris Wiechmann (Vocals/Guitar), Chuck Kahl (Bass), and Kevin Dean (Drums) are joined by the new blood of Tommy Matkowski on lead guitar. Tommy’s playing is truly the finishing piece to this already powerful puzzle, lending a fresh and deeply rooted hard rock style to the Brand New Sin sound. This line-up spent much of 2010 on the road together defining the terms of United State, including opening shows for Slash & Myles Kennedy. LONG LIVE BRAND NEW SIN. This entry was posted on November 5, 2011 at 9:50 pm and is filed under Hard Rock, Heavy Metal, heavy metal news, metal odyssey, Music, rock music, rock music news with tags brand new sin, Hard Rock, Heavy Metal, heavy metal albums 2011, metal odyssey, rock music news, united state album. You can follow any responses to this entry through the RSS 2.0 feed. You can leave a response, or trackback from your own site.